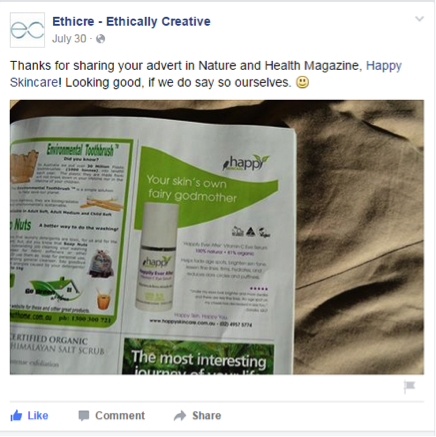 Cause-driven content is vital for your ethical business. Last month, we featured an infographic that showed why ethical and socially responsible brands should create content around their causes. This month we’re going to provide practical examples on how to create it. An excellent example of storytelling can be seen on the Kiva website. As you can see below, Kiva even include the word ‘story’ in their headline. People love stories! In some instances it’s worthwhile to share the work you’ve done for your clients. For example, if you build sustainable homes, ask your client if you can write a blog piece about their home. List the sustainable materials you used and the sustainable practices you implemented, and accompany the piece with lots of photographs. In our case, we sometimes like to share our clients’ work on social media, with their permission of course! Not only do we love giving their company some valuable promotion, we’re also constantly reinforcing the message that we work for companies with a cause. 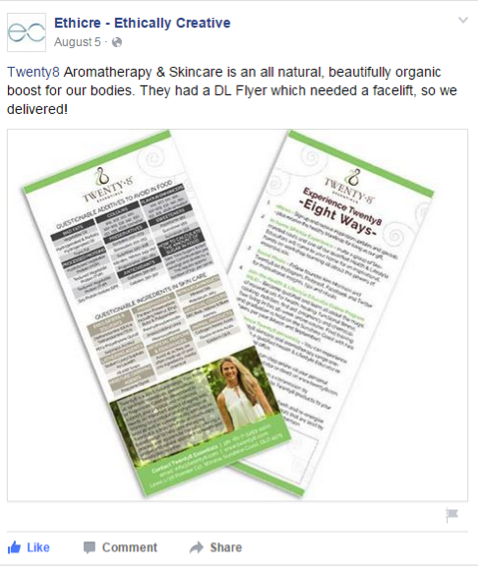 Testimonials from happy clients are another great way to share cause-driven content. When someone is happy with the results you’ve achieved for them, don’t be shy, share this exciting news with the world. It’s not boastful, it’s actually helpful: if a person is tossing up whether to work with you or not, the testimonials will help them make the decision. Testimonials build trust. If people don’t trust you, they won’t work with you. Take a photograph of a beautiful view on your morning walk. Is your dog, cat or other pet keeping you company today? Take a photo or write about it. On the whole, people love seeing animal ‘helpers’. Did you tick off everything on your to-do list? Share your achievement! Have you eaten something homemade and yummy? Tell everyone and ask what they’ve eaten today. Whenever you find useful resources, share them with your community. 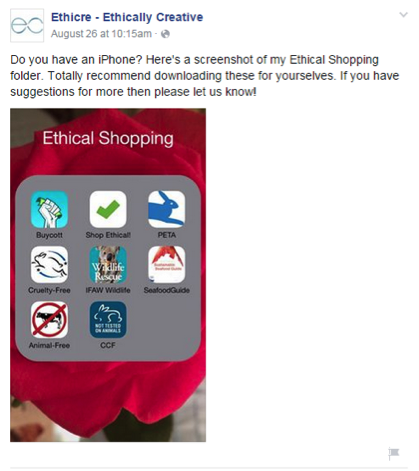 In our case, we took a screenshot of ethical apps on Shona’s (our founder) iPhone. If we wanted to, we could write a blog post about each one of these apps. You can literally write cause-driven content about any aspect of your business and life! 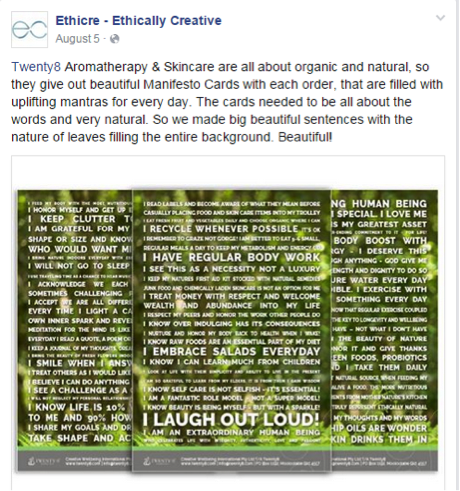 we shared our own ethical apps and invited our community to share their own. What sort of an impact have you made? 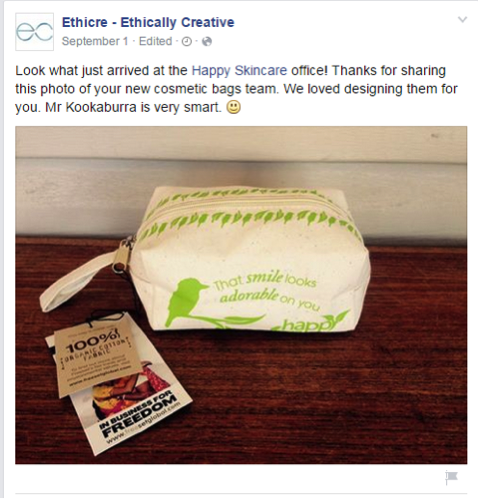 We’ve written extensively about FEED’s approach to marketing. Share your numbers, just like FEED. FEED has made an enormous impact. As you can see, cause-driven content is really all about sharing. Once you scratch the surface, there are literally thousands of stories to share. we can’t wait to read yours! What are your thoughts on cause-driven content? Please feel free to share any of your stories in the comments below.